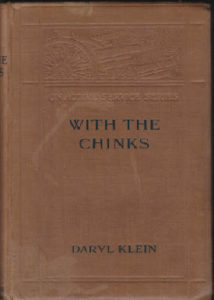 Is it possible for me acquire an original copy of; With the Chinks; By Daryl Klein. 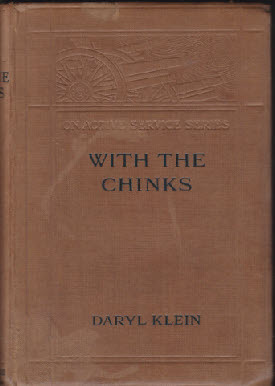 It is definitive proof that the Western Establishment knew all along that they had massive help from the Chinese; but covered it up during and after the Great War. There was also a very useful publication in the early eighties on the CLC. That too was a Private Publication. Thanks for the tip about” Kleins” book. I have perused it many times! And the tip about Xu and O’Neil. To return the favour here is something even earlier by a Capt. Barnes. China From March To October 1900. By: Captain. A. A. S. Barnes. Are U aware of the Early Eighties Private Publication, about the C.L.C. Practically all in Black and a Paperback to boot!